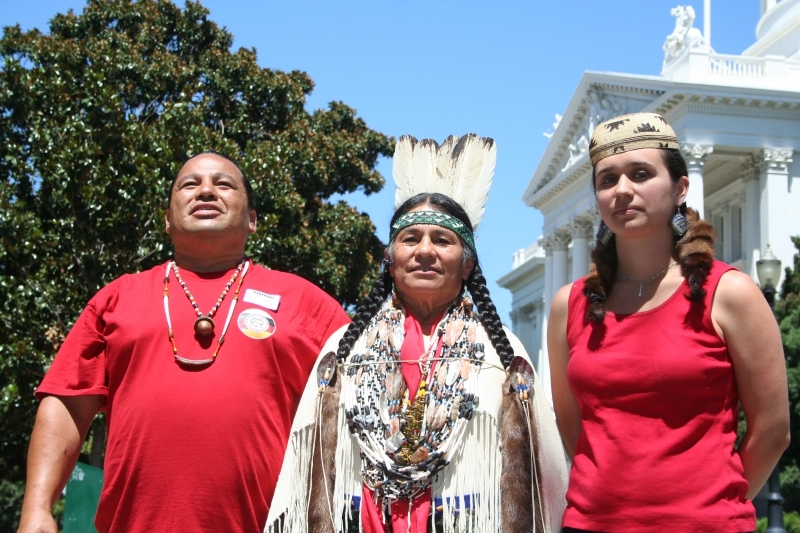 Newspaper Rock: Winnemem Wintu oppose "frankenfish"
By Dan BacherCaleen Sisk, Chief and Spiritual Leader of the Winnemem Wintu Tribe, said the Tribe strongly opposes the tentative approval of genetically engineered salmon by the Food and Drug Administration (FDA). “It must be recognized as an inherent right of Indigenous Peoples for the Winnemem Wintu to hold the salmon as a relative that is so intrinsic to our culture. There are complete eco systems based on the clarity, knowledge and health of the salmon,” said Sisk. “The Winnemem Wintu object to GE production, as it would certainly impact our obligation to salmon and would change the traditional responsibility to salmon and our relationship that exists for thousands of years. It is also the right of the tribes to expect the same engagement of the omega 3's to maintain a quality of health to traditionally exchange with the Winnemem Wintu, the trees, birds, animals, plants and soils as they purify the waters on each of their once in their life journey,” she concluded.Comment: For more on Indians and salmon, see Nisqually Cooking in Man Fire Food and Tsleil-Waututh Professional Chef's Program. There are still problems with it anyway. The salmon industry really does not want genetically modified salmon, considering one of salmon's major values is that it's low in saturated fat and high in alpha-linolenic acid and its metabolites. The biggest issue with GMOs is that they're basically used so seed companies have a biological patent, but then they can sue the farmers if just one seed ends up on the farmer's land, perhaps from the wind. Seriously.